Everyone right now is all about the new hotness that is the USB Type-C connector, partly because Apple gave it pride of place on the new 12-inch Retina MacBook but mainly because it promises to be the future of connectivity and charging for years to come. This isn’t one of those cables that appears on a Mac only to die a long, drawn out death. We’re looking at you, Firewire. The problem with transitions from one type of connector to another is that you are always going to end up with some point in time where cables and connectors are crossing over. Where neither is first choice for everyone, meaning incompatibility all around. That’s never fun for anyone, and it’s certainly not fun for accessory vendors who are sometimes left with the decision of whether to throw all their eggs into one basket, or produce two versions of their devices. Unless you’re SanDisk. Known for making USB storage devices and memory cards, SanDisk already had announced a USB stick back in March that has flown under the radar for many of us, and it’s one that deserves more attention than it has received. The best part about it is that it can now be bought by anyone, as promised by the company itself. 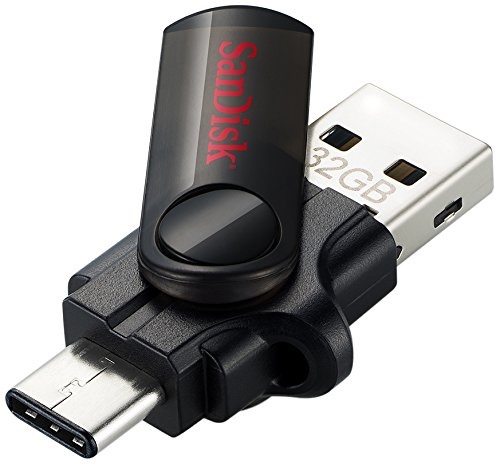 Affectionately named the “SanDisk SDDDC-032G-G46 Ultra Dual USB Flash Drive USB 3.0 Type C Connector,” the USB stick is impressive because it features not one, but two different ways of connecting it to a computer or smartphone. For those of us still rocking devices using the old USB Type-A style of connector, there’s one of the more familiar options available. 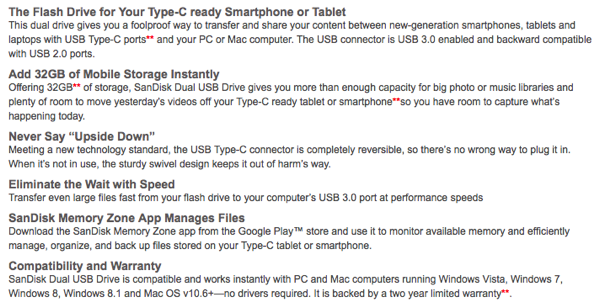 But if you’re using something with a shiny new USB Type-C connector such as the aforementioned MacBook then you’re in luck, because the USB Type-A connector can be swung around to reveal one of the new, smaller Type-C offerings. With 32GB of storage on offer as well, to say this USB stick is future proof is quite the understatement. Most importantly, you can buy one of SanDisk’s reversible USB sticks right now for $65 at Amazon – with some sellers giving it away at a discounted price of $39.99 – so if you need a way to move files around and have a call to use both types of USB, then this should probably be on your shopping list.